The Fruit Snack-eating world remains, both rocked and stunned after two women filed a class action lawsuit against Welch’s Fruit Snacks, claiming the companies involved had engaged in "deceptive practices in misrepresenting the fruit content and the nutritional and health qualities" to fool America into thinking the sugary, multicolored treats were healthy. Spoiler alert: they're not. Slate breaks down the makeup of our beloved Fruit Snacks, clarifying how they're really not too different than gummy bears or any other sugary gummy treat. "A single serving of the Apple Orchard Medley flavor of Welch’s Fruit Snacks contains 11 grams—nearly three teaspoons’ worth—which means that 43 percent of every bite your kid takes is pure sugar." Along with the controversial amount of sugar present in the delicious-albeit-teeth-melting snacks, Promotion in Motion and Welch Foods, the companies in question, are also getting heat for the way they advertise the use of vitamins in its products. Melinda Wenner Moyer, author of the original piece on the lawsuit states that "Welch’s fortifies its snacks with Vitamin C [which] also means that its claim of containing 'no preservatives' is false—vitamin C is a commonly used preservative." Yikes. And the claim of Fruit Snacks containing real fruit? Nope. 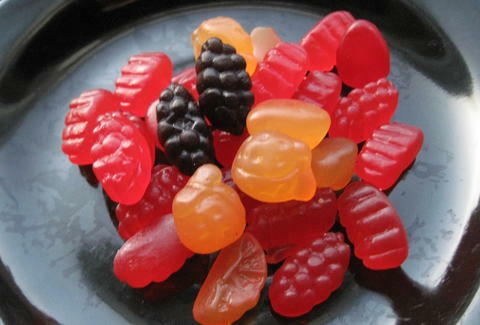 Stephen Gardner, who heads the food law practice at the Stanley Law Group of Dallas, Texas, confirms that there's no hint of real fruit in Fruit Snacks. Fruit juices don't make much of a difference either for the claim that the snacks containing the ingredient are healthy: "When fruit juices are used, they are often stripped of anything that organoleptically qualifies as fruit. Even pure juices are mostly sugar, which is why nutritionists generally advice to limit their consumption." Welp, guess we have to go back to nature's original Fruit Snack: fruit. Jeremy Glass is a writer for Thrillist and this news will not dissuade him from eating Fruit Snacks.